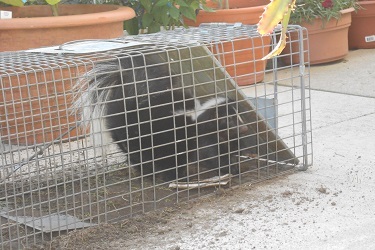 global $post; Skunk Removal Services Mississauga, Toronto, Vaughan, Skunk Trapping - Gotcha Wildlife Inc.
Skunks are burrowers and tend to burrow under decks, sheds, and porches. They are also found nesting in window wells, Jacuzzi tabs, rocks and debris, and sometimes garages. Access point may include deck/shed gaps, foundation cracks, and steps. 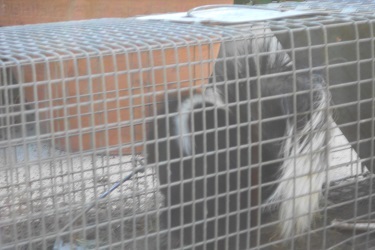 WHAT HEALTH CONCERNS DO SKUNKS RAISE? 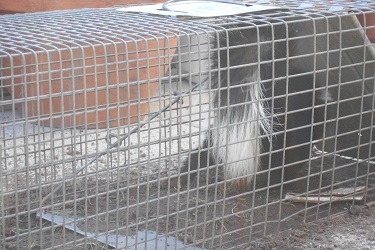 Skunks can carry rabies, which can be transmitted through saliva from a bite and possibly scratches. 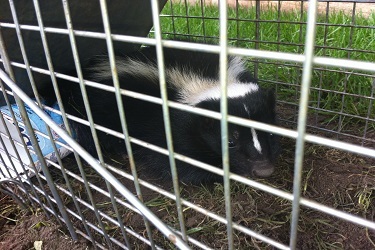 Skunks can also transmit leptospirosis, canine hepatitis, and canine distemper. Skunk spray contains Methyl mercaptan. It is a colorless, highly flammable, foul-smelling gas that is produced in the intestinal tract of a skunk by the action of bacteria on a variety of proteins known as the albumins. If this spray comes in contact with eyes or skin it can become irritant and hard to wash out of any clothing or material it may come in contact with.